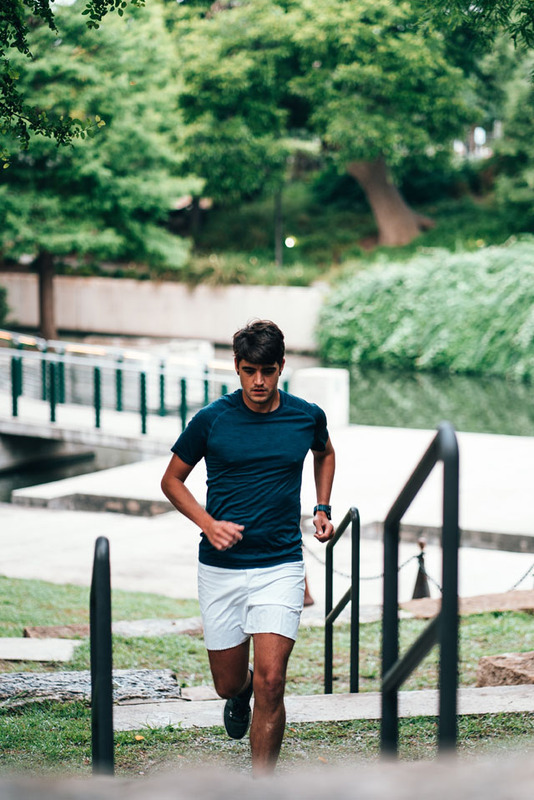 Going for a run, playing active sports or being active in anyway has many health benefits. Exercising and being active makes us well and prevents illnesses. Sitting for long periods of time is an unhealthy habit. Like sitting on a couch to watch a couple tv shows or just sitting around longer than we are active can be destructive to our health. Studies have found that sitting for too long or sedentary behaviours are associated with health problems such as diabetes and obesity. Sedentary behaviour is also associated with some cancer types. The concern most people may have are the times they spend sitting in Auckland traffic, at their desk or on the couch. In one way or another, people can make alterations to spend less time in these seats. Abled bodied people must walk to move between these seats. So, some non-sedentary time is a given in many people’s daily lives. Imagine if you are stuck in one seat all day, every day. The seat in the vehicle, office chair and the couch all combined into one seat. Whether or not people in wheelchairs are aware of the dangers of being bound to a wheelchair, their options to independently reduce their sedentary time are limited. Sadly, people in wheelchairs are at risk or suffer from various illnesses. When people learn about the health risks of sedentary behaviours, they may be convicted by the information to assess how long they spend sitting. Able bodied people have the freedom to independently make changes to reduce their sedentary time. They just need to be willing to do so to achieve better health outcomes. One may choose to go for more walks during the week or decide to replace their office desk with a standing desk. It is solely on the person to have the determination to be proactive in making changes and to persist with the changes. Reducing sedentary time for people with physical disabilities in wheelchairs is not that straightforward. People that rely on support of others also need their support to do activities that reduces their sedentary time. Physiotherapist and other disability support workers assist people in wheelchairs to be active when they are with them. For example, children with disabilities get supported to use walking or standing frames during school times. These children may get to do physical activities outside of school if their parents and caregivers have the time and resources to support them. More than often, families don't have the time or resources or enough instructions to be able to support their children. Families of adults in wheelchairs have the same restraints with time and resources. Also, getting support to do physical activities are limited for adults with disabilities. Adults in wheelchairs do get physiotherapy and support for some physical activities, but it’s a lot less than children. People that are independent can spontaneously choose to go for a walk or be active any day. Whereas, people with physical disabilities require support plans with appointed individuals that support them to do physical activities at set times. People with disabilities and without physical disabilities need to reduce the time they spend sitting. The sad reality is that able bodied people have more chances during the week to exercise than those who require support. My experience growing up with Cerebral Palsy has been like what I described above. In my childhood I received great physiotherapy at school. Sadly though, due to language barrier, my family didn’t understand the exercise guides that I brought home. So, my exercise routine would take a break over school breaks and resume when school starts again.I did get a lot of time out of my wheelchair and do physical activities like walking with a walking frame. However, it didn't happen consistently. I got to use my walking frame more often when I started going to church. Youth leaders and the friends I made quickly learned how to support me when I was using my walking frame. My walking frame fitted into small cars. So, I often use my walking frame when my friends gave me lifts to church or outings.My time out of my wheelchair may not have increased by much, but I got to use my walking frame more often outside of school time. Even today, I continue to use my walking frame and do more physical activities. Adding on to my walking frame, I now have a Cogy which is a pedal wheelchair where I use my legs to pedal the wheelchair around. Going for walks using my walking frame or cogy is really refreshing! It’s also a fun activity I do with my family and friends. Manuele Teofilo lives in South Auckland with his parents and siblings. 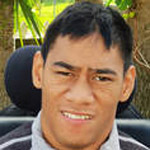 He has graduated from the University of Auckland with a Bachelor of Human Services and plans to work in the disability sector. He enjoys getting around in his electric wheelchair and having fun with people.